At Maxim Ventures, we're using our technology, relationships, and capital to build healthcare businesses that are creating products that deliver insights to enable a healthier world. As healthcare costs rise and populations age, how can we deliver the level of care that people require? Whether our goal is to stay fit, receive early warning signs, monitor chronic conditions, accelerate recovery, or age in place, we all need better ways to monitor our health. By doing things like recording a heartbeat, monitoring the environment, measuring blood-glucose levels, and augmenting people's senses, technology plays a critical role in delivering the insights to make all of this possible. Maxim Ventures is dedicated to helping innovative healthcare and life science startups bridge the gap between the analog measured world and the digital computational world, and creating thriving businesses along the way. For entrepreneurial system-level innovators who are developing these kinds of solutions, Maxim brings to the fold sensor and analog technologies for precision measurement; security products for calibration, data integrity, and protection of intellectual property (IP), data, and privacy; and low-power and power management solutions for compact mobile and wearable applications. More than just a capital partner, Maxim Ventures uses our analog circuit expertise, capital, and worldwide relationships to put new markets and possibilities within your reach. Talk to us if you're a healthcare or life sciences mid-stage startup and want to team up with a leader with knowledge, technologies, and partnerships that can help your business grow and thrive. We'll be happy to consider a co-investing opportunity with other leading investors. With the combination of Maxim's IC know-how, relationships, and capital and your new use cases and business models, we can capture more value from measured data, create new revenue streams, and develop winning businesses. Together, we can create solutions that tackle rising healthcare costs and promote a healthier world. Chris Neil is co-founder and Head of Maxim Ventures. He is also a Senior Vice President of Maxim Integrated, reporting to the CEO. Prior to this position, Chris created and headed Maxim's $1B Industrial and Medical Solutions Group (IMSG), focused on semiconductor-based solutions for the energy, healthcare, factory automation, financial terminal, and security markets. Chris joined Maxim in 1990 and was appointed Vice President in 2006. He holds BSEE and MSEE degrees from the Massachusetts Institute of Technology. Shailendra Mahajan is co-founder and managing director of Maxim Ventures. Over the past 25 years, he has acquired broad experience in system design, sales, strategic marketing and management. Mahajan is recognized for his ability to uncover excellent business opportunities and mentor entrepreneurs. He serves as a board observer for Evergaze, HD Medical, LVL and toSense. In addition, in 2018 he was recognized by CB Insights' 15 Smart People in Healthcare. Mahajan earned a MSEE from Texas A&M. He has also taken executive management courses at Stanford University, UC-Berkeley and UT Austin. Bedrock Automation makes the world's highest performance and most cyber secure industrial automation platform based on three prime directives: simplicity, scalability, and security. Maxim Ventures provided incubation and early-stage funding. Sarvint Technologies has invented a way to weave specialty conductive fibers directly into fabrics for vital-sign monitoring, making technology more wearable than ever. Maxim provided strategic electronic technology and personnel, as well as investment in a $6M Series-A round. Sotera Wireless, Inc., develops medical devices and solutions with a mission to improve patient safety in virtually any care setting by detecting early signs of deterioration. These solutions thus enable early intervention and rapid response, without limiting the patient's freedom of movement. Maxim Ventures participated in a $53M Series-E round. 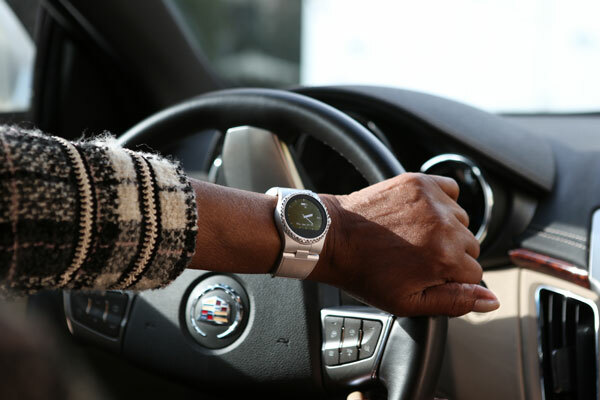 Unaliwear develops water-resistant, long-battery-life watches for seniors and other vulnerable populations for use as part of a Personal Emergency Response System (PERS). Its attractive, voice-controlled Kanega™ wristwatch provides alerts for falls, medication reminders, and GPS guidance. Maxim participated in the Seed series round. Evergaze develops lightweight electro-optical visual aids for people with age-related macular degeneration (AMD) to help improve their quality of life. 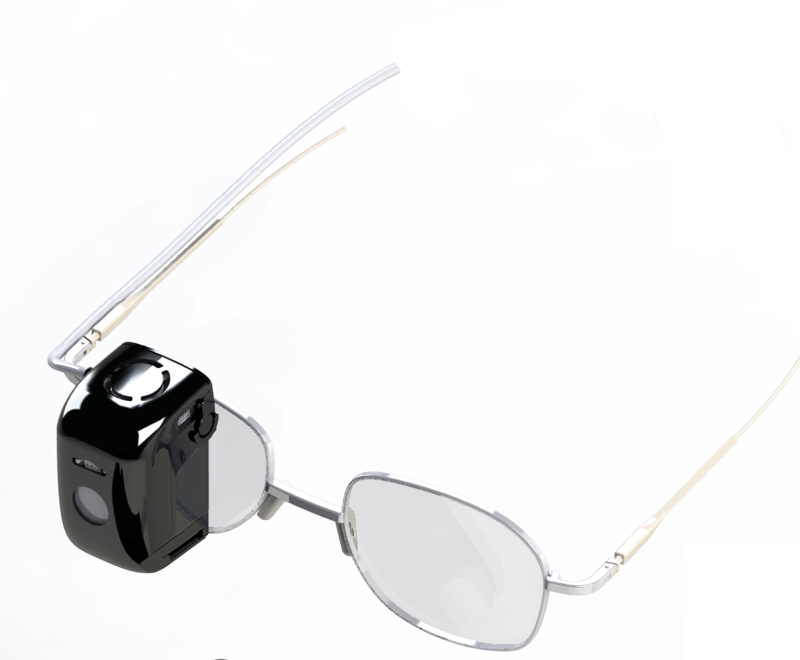 The compact, unobtrusive seeBoost™ device fits onto an ordinary pair of prescription glasses. Maxim participated in the Series A round. HD Medical develops digital stethoscope products with patented, FDA-approved algorithms for detecting different types of heart murmurs. Their ViScopeECG™ products combine a high-resolution visual display with traditional auscultation to provide instant diagnosis of ailments to healthcare providers. Maxim participated in a convertible note round. Valor Fire Safety develops, patents, and licenses an optical smoke-detecting technology called external sampling photoelectric (ESP), which eliminates the traditional smoke collection chamber and broadens sensing into the open room. Compared to traditional smoke detectors, ESP activates more quickly to fires and is less susceptible to nuisance alarms. Nexpaq builds a modular smartphone case that allows users to seamlessly customize, enhance, and add new hardware functions to their existing smartphones through small transferable modules. This open system allows independent developers to create new modules, ease their manufacture, and sell them on the nexpaq website, truly democratizing IoT hardware. 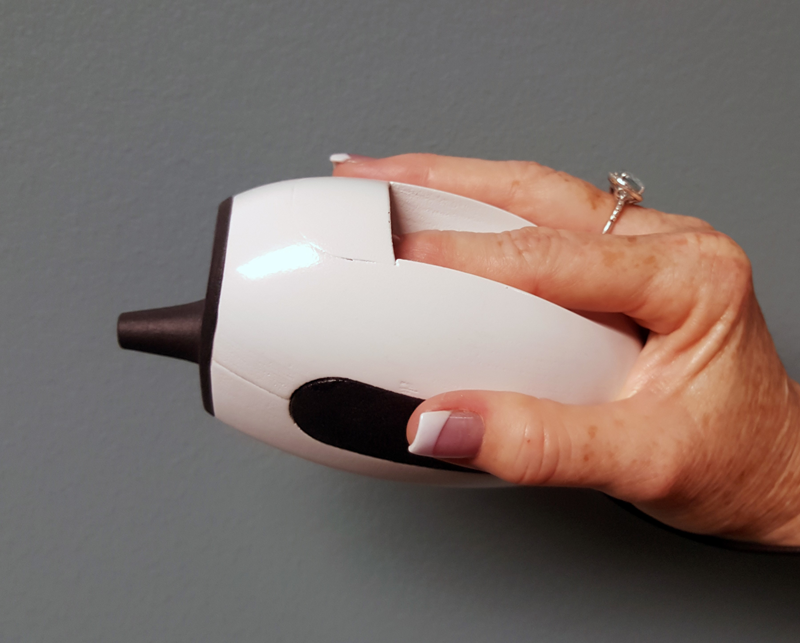 MedWand is a remote patient-monitoring device that combines the functionality of several conventional diagnostic tools, including an otoscope, ophthalmoscope, EKG, thermometer, and pulse oximeter. It enhances traditional voice-only telemedicine by being the high-quality remote "eyes and ears" of the doctor, allowing greater diagnostic capabilities. Built-in connectivity allows readings to be uploaded directly to the cloud and into a HIPAA-compliant secure medical record. X2 Biosystems provides a concussion management solution and platform that lets you monitor, assess, and act in real time when head impacts occur. It consists of the applied X-Patch Pro sensor, a Sensor Data Management (SDM) tablet app, the X2 Integrated Concussion Evaluation (ICE) app, plus the X2 Cloud Platform where the ICE and SDM data are saved for analytics and tracking patient impact and behavior histories. It is intended for use by youth and professional athletes, military personnel, and at-risk industrial workers. LVL Technologies (formerly BX Athletics) is focused on building health and fitness wearables that track hydration in addition to activity, heart rate, sleep, and self-reported mood. Their LVL One wrist product combines a machine-learning algorithm with an infrared sensor to measure the water content in a user's blood stream and then provides real-time prompts to hydrate. Maxim is a co-investor with Samsung Catalyst Fund. Profusa's mission is to make our body's chemistry easily accessible to improve health and wellness. We are dedicated to becoming a leader in the development of real-time biosensors that provide unprecedented insights into our overall health status. Eccrine Systems develops sweat sensing technologies to enable pharmacoeccrinology, a new field of precision medicine which allows prescribers to optimize pharmacotherapy more rapidly and cost-effectively through non-invasive measurement of individual drug responses in eccrine sweat. See how Maxim is helping customers quickly turn their concepts into working prototypes, and sign up for a free Design Startup Pack. Here are a few stories that highlight how different companies are using Maxim technologies to achieve their product goals. "It's all the little things that Maxim helped us with which add up to make a significant difference." "We were looking to disrupt one of the biggest industries of the world-healthcare-and we're doing it with Maxim sensors and processors." "The key decision point on these [Maxim] ICs was the ability to get the best possible fuel gauge and battery state information." "The name of the game is miniaturization and low power, and Maxim has the best solution for both."